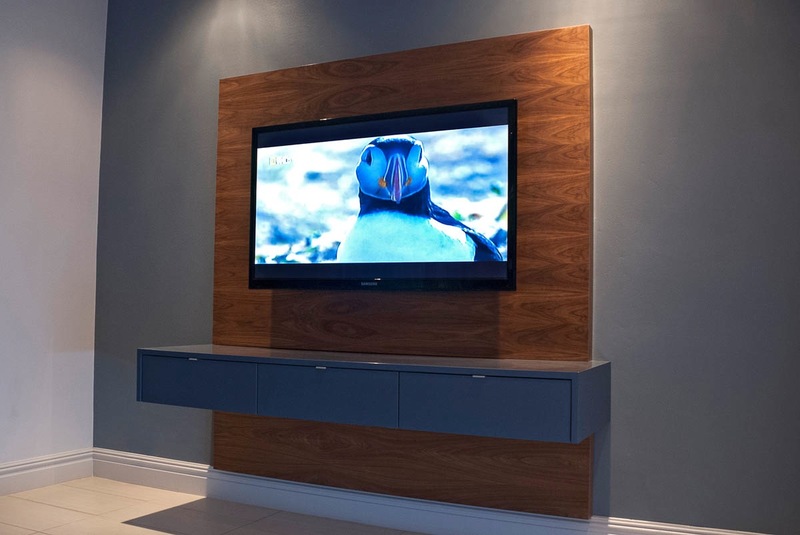 ODE floating furniture enables a beautiful installation for televisions in living rooms without detracting from the process by having to cut into walls, re-patch plaster and paint to hide the required cabling. 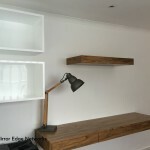 ODE floating furniture has been designed and hand built in Cape Town for over seven years. 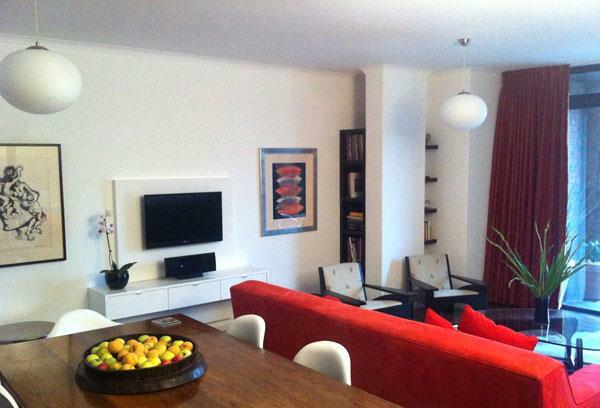 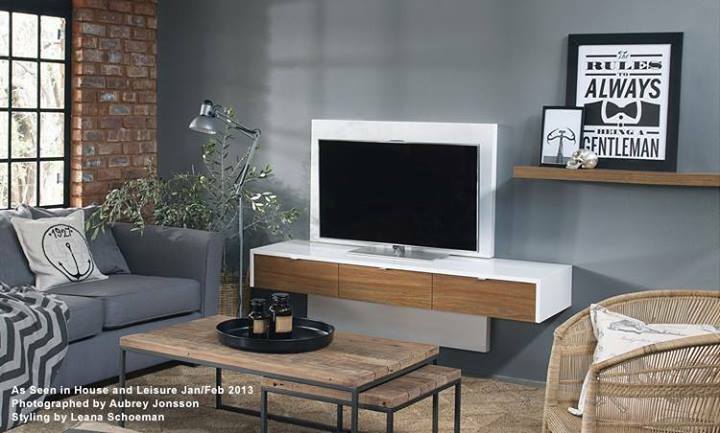 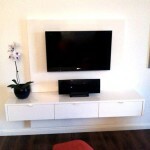 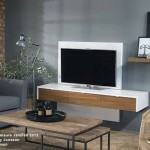 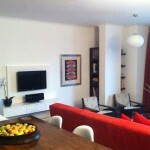 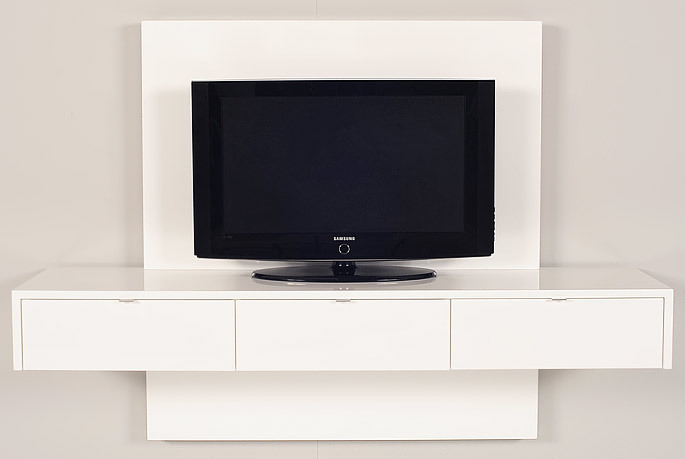 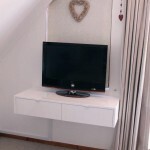 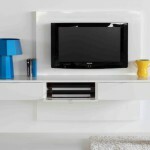 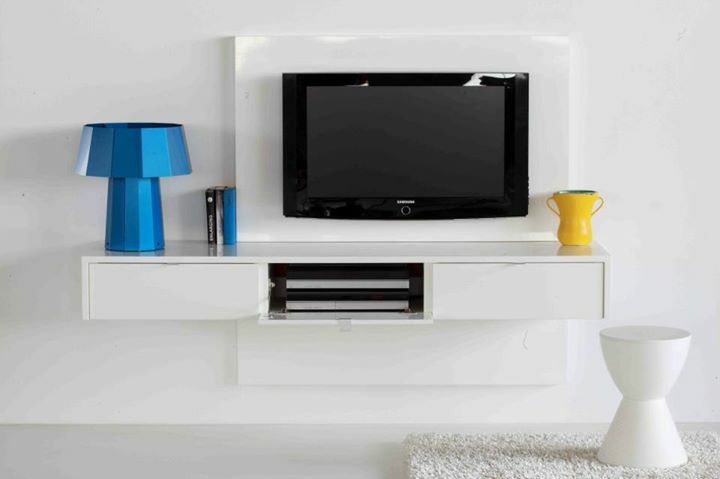 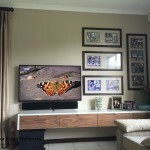 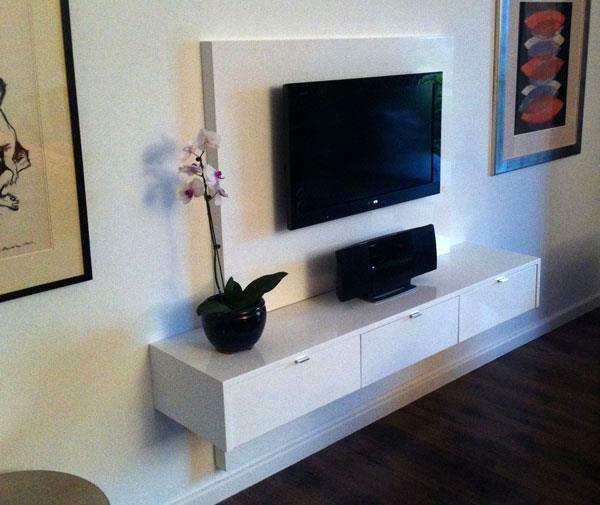 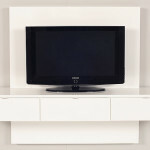 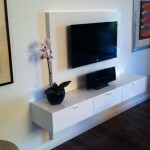 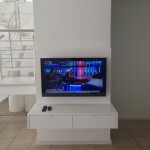 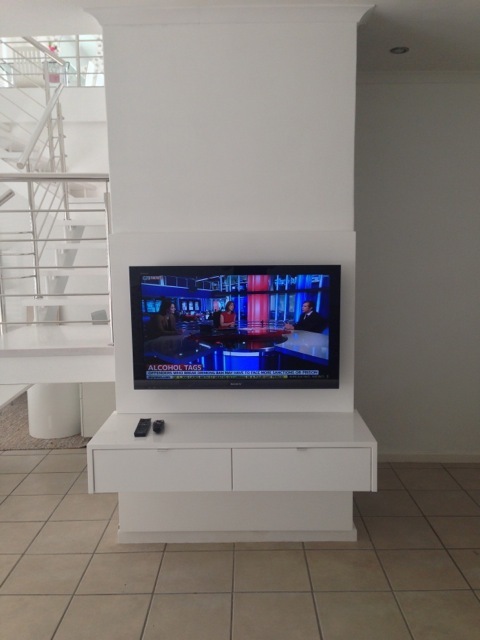 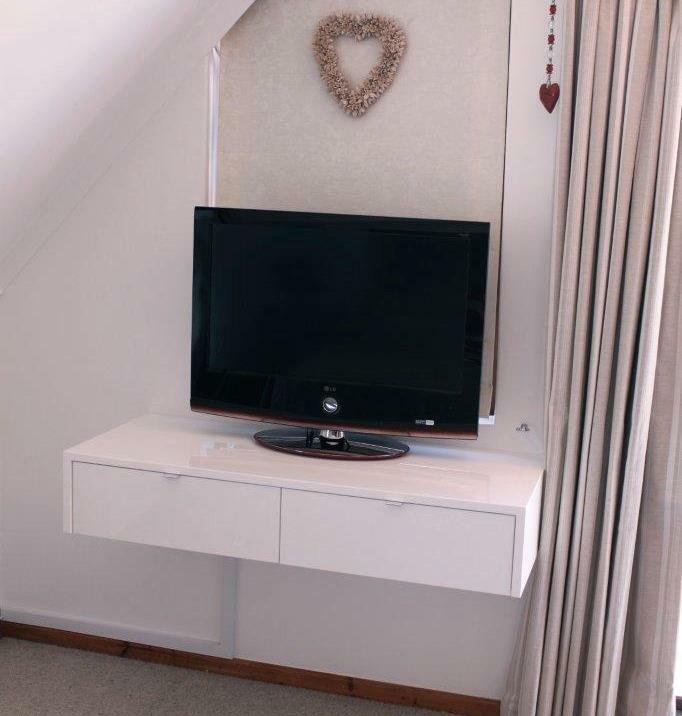 There are many finishes available for all floating shelves and television panels. 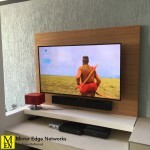 They are the perfect solution for any living room installation. 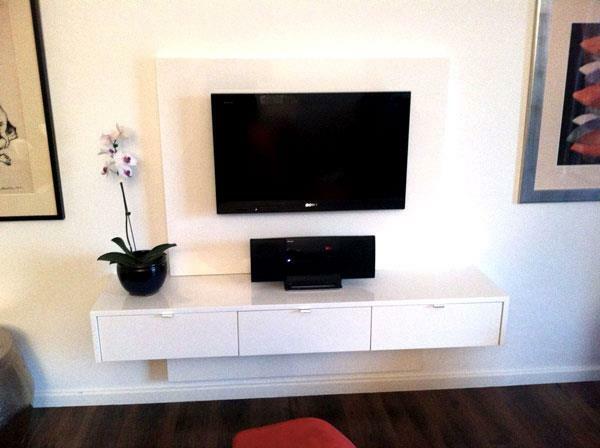 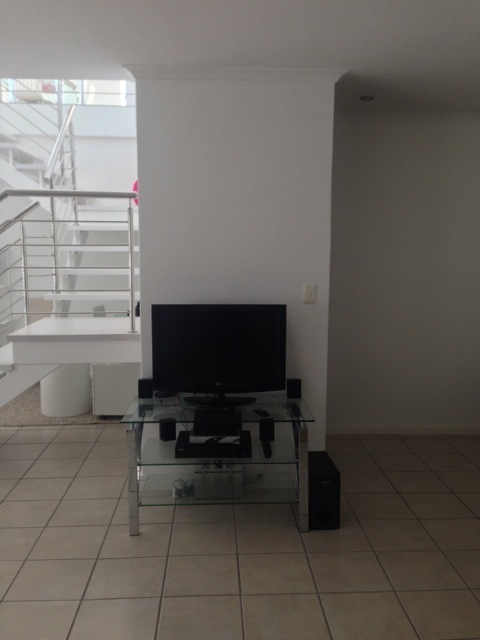 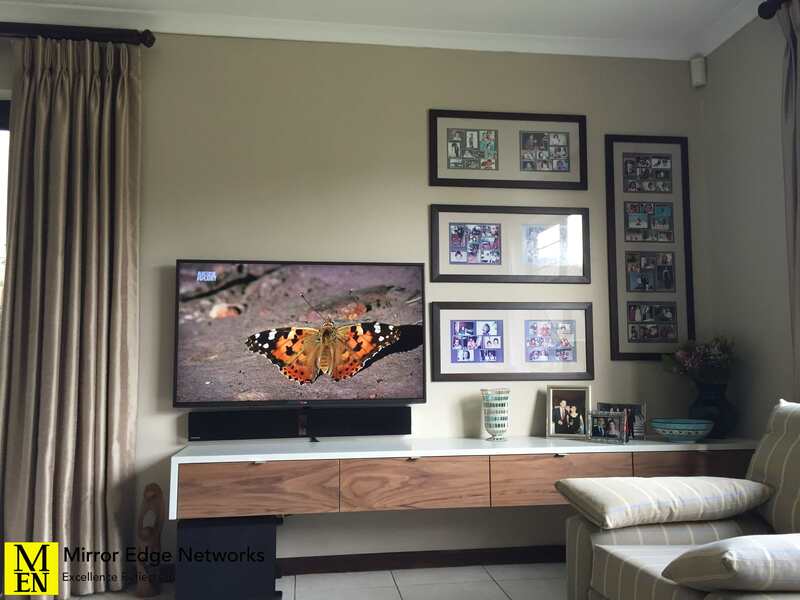 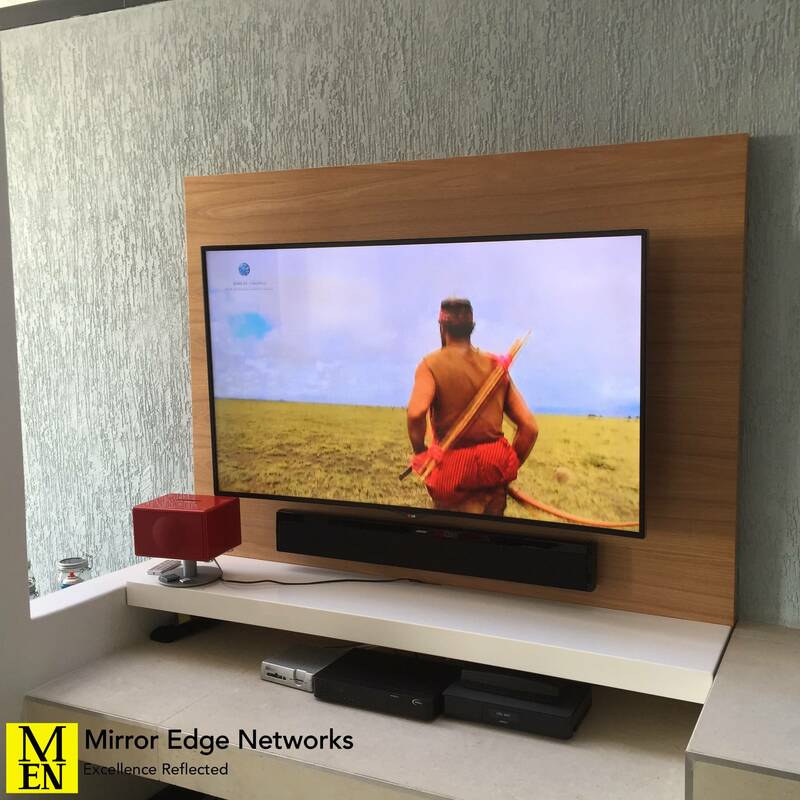 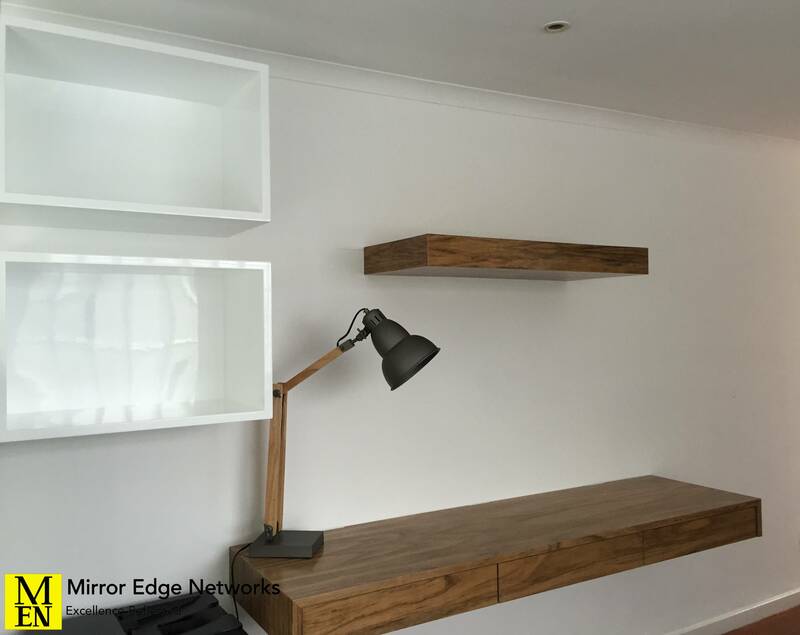 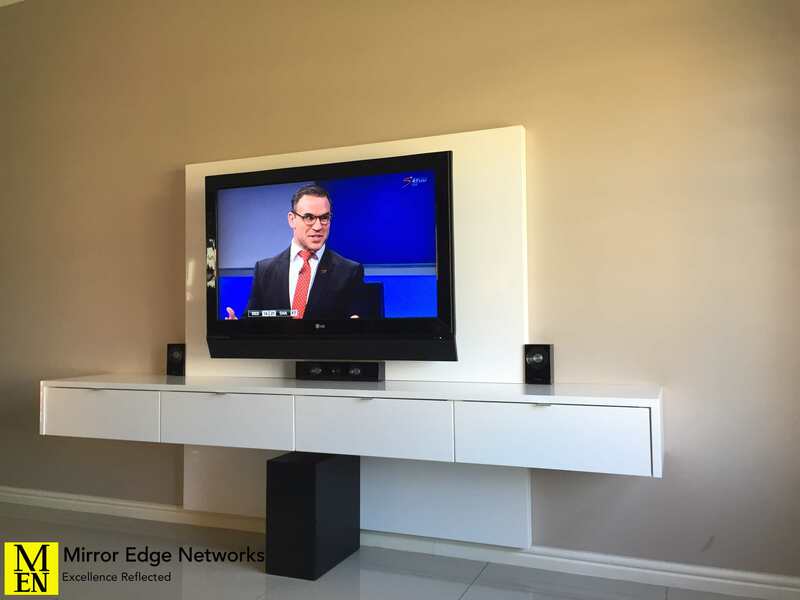 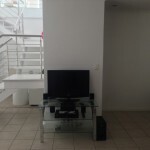 Considering the requirements for a modern audio video installation, we recommend using ODE floating television units as they house all required devices. 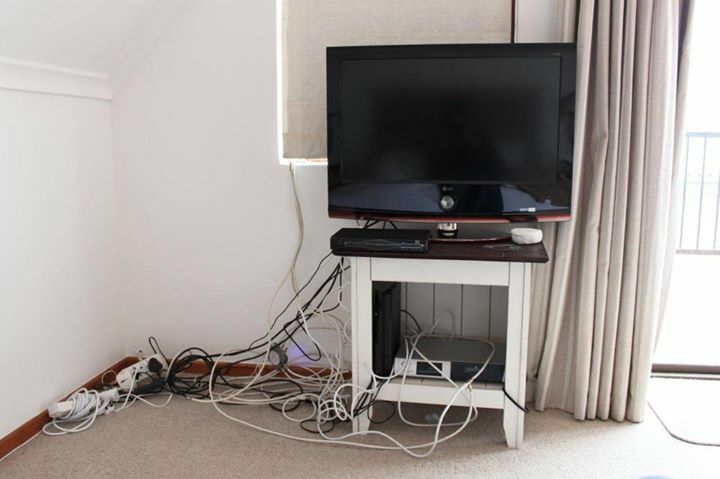 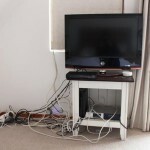 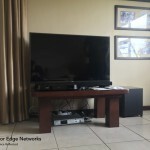 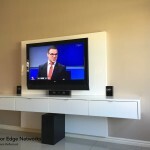 These include DSTV Decoders, DVD players, even Audio Video Receiver amplifiers. 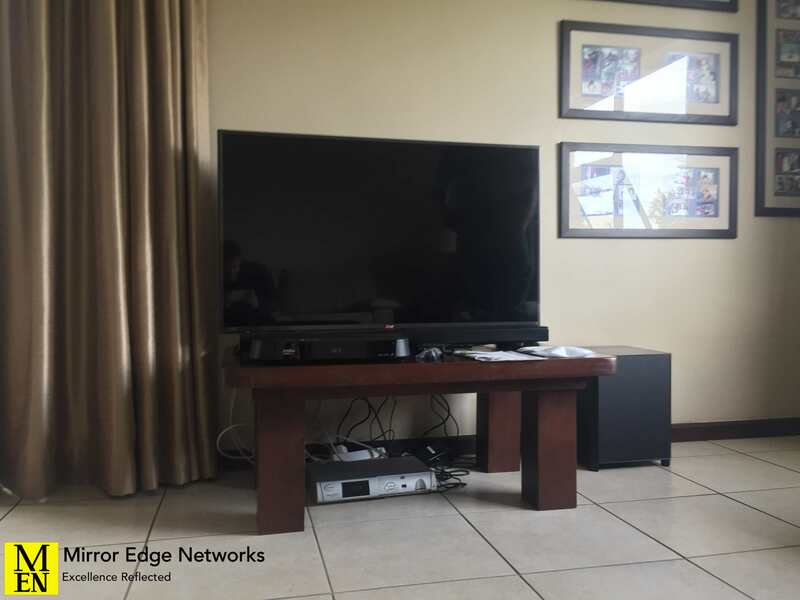 If you would like us to visit you and advise you what the best ODE solution is for you, please get in Contact with us and we will be happy to offer our services to you.